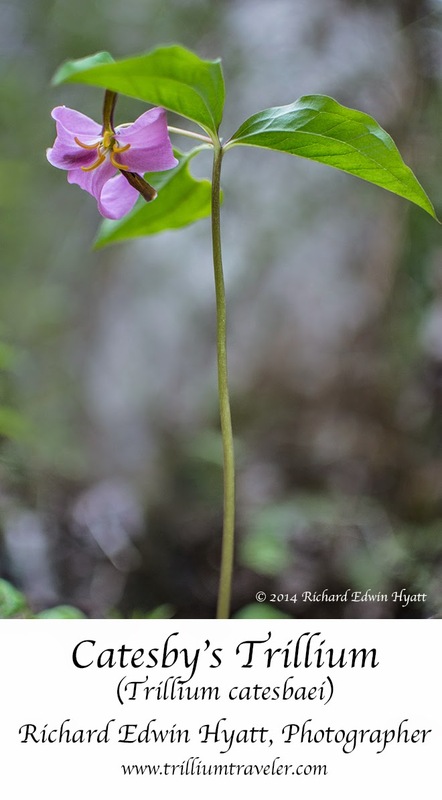 Here is yesterday's trillium we found on the Upper Tallulah River near Tallulah River Campground. This is a Cateby's Trillium that was among several more on a steep slope. You may want to compare it to my previous post. While the flower here is quite colorful it is often white.